Clearwater Clothing has something for everyone! If you desire to go outside you need this line. Built on integrity, styled to be versatile. Built on integrity, this line will not disapoint you! Sportswear and sox of course! Sophisticated and practical clothing for the modern women. It all began as a trouser company but now designs a full line of wardrobe must-haves. A life style collection for travel, home, work, yoga and you. 100% pre-shrunk cotton blends are all they use. 1% off all sales go to projects that make the world a better place! Yest fashion is a brand for self confident, fashionable ladies who enjoy their lives and want to make the most of it. Great fit with a euro flare. 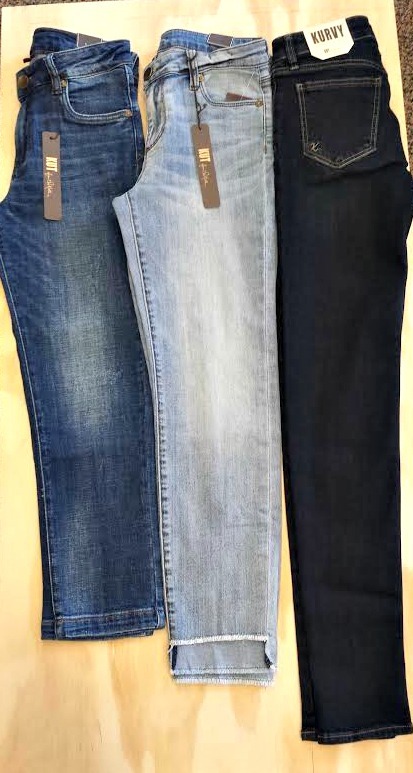 Great fit and comfort always come first with a splash of trend for your go to jeans. A perfect blend of thoughtful function and style, Baggallini has grown from two world travelers into a worldwide leader in incredibly organized bags and accessories that look as good as they perform. Instantly desirable by women who crave a well ordered life, the freedom it enables, and the beauty it creates.